The Advanced ThetaHealing class expands the information in the Basic DNA class to encompass an in-depth understanding of the Seven Planes of Existence that surrounds us. You will become more fluent in the ThetaHealing® Technique. This class is the practical application of the Basic techniques. You will learn how to clear old resentments, and commitments that hold you back. You will discover how to heal with new exercises such as “Heal the Broken Soul”. You will receive feelings and downloads that can bring about profound healing and deepened your spiritual understanding. In this 3-day class you will be filled with many new and positive feelings such as knowing how to appreciate the now and what self-acceptance feels like with being connected to the Creator at all times. This is the other ThetaHealing class that will help you be more able to use ThetaHealing in your everyday life as well as with others. 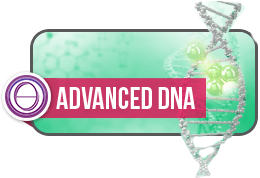 Tuition includes the book, Advanced ThetaHealing, the Advanced DNA Manual and a certificate upon completion. When you register, additional information will be sent to you. Email Kathryn at create@wholelife.coach with the dates you will be attending. Deposits are non-refundable. You may use the amount toward a future seminar.